As a kid, I loved the milk chocolate in an Almond Joy candy bar, but would always spit out the almond. As an adult, I learned to like the nuts, but they weren’t my favorite part of the candy bar. I wished for the lack of almonds in a Mounds but the milk chocolate of an Almond Joy. 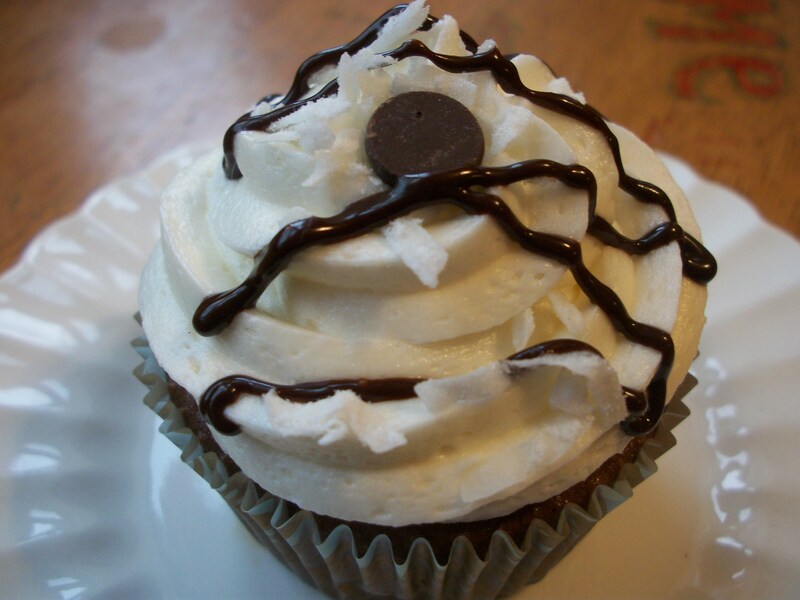 I decided to play around and make my own candy bar cupcake. I used a regular, milk chocolate, boxed cake mix then went on a search to find a buttercream that was a little nicer than just adding flavoring. Cooking Classy had the perfect recipe and I had all the ingredients. Yes….I keep cans of coconut milk in my pantry. I like to have it on hand for a curry dish or turning leftover rice into rice pudding. The coconut milk kept the frosting nice and light and after adding the extract, the frosting tasted just like the filling of a candy bar. I was pretty conservative with the shredded coconut; I didn’t want to spend the evening picking pieces of it out of my teeth. 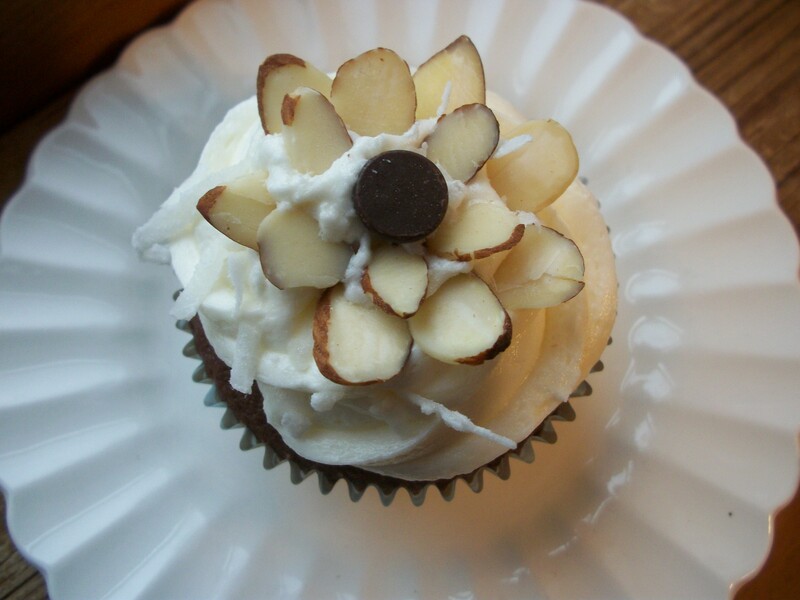 My daughter helped me decorate half of the tops with almond flowers which added a very classy touch. I drizzled chocolate over the other half so that I could have my dream candy bar. And boy, did they live up to everything I was dreaming of.